Among its many services, the JFCS provides the facilities and arranges presentations on the Holocaust to visiting student groups. Such day-long visits to the Holocaust Center normally start with a lesson from Holocaust Center staff to provide historical context that ties into and is followed by a presentation from a Holocaust survivor. My talk today was to the 8th grade students from Town School for Boys, an independent K-8 day school in San Francisco, CA, emphasizing academics and character education. 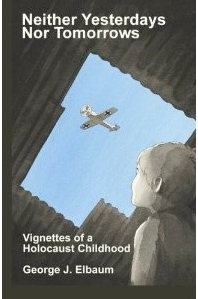 The students recently read Night by Elie Wiesel and had lessons on racism, the rise of the Nazi party and propaganda. They were accompanied by teachers Antika Singh, Jim de Carion, and Christine Park. My talk was ably arranged by Nikki Bambauer, JFCS Holocaust Center’s Program Coordinator, while JFCS Holocaust Center’s Associate Director Alexis Herr led a workshop with the students in an examination and analysis of propaganda directed toward youth in Nazi Germany and then introduced me to the audience.